The parliament of Papua New Guinea has responded to a spate of globally publicised crimes with legislative amendments. In the same session that the Sorcery Act, which provided a defence for violent attacks on suspected sorcerers, was repealed, the parliament voted to apply the death penalty to a longer list of crimes — including high-level corruption — by imposing stricter penalties for white-collar crimes, kidnapping and theft. While there was much praise for repealing the sorcery legislation, the death penalty changes received broad condemnation, amid arguments that it will do nothing to address core issues such as the ineffective delivery of police services in PNG. There are increasing reports of instances involving police force adding to law and order problems, rather than to solutions. It remains to be seen how Australia, which recently signaled moves to increase support to PNG’s police and justice system, will react to the new laws. 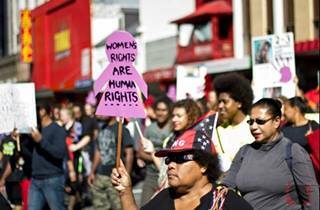 In 2007, following the Nuku’alofa riots, Australia refused to hand over autopsy reports to Tongan investigators, citing concerns about the possible imposition of the death penalty on suspects. Australia and New Zealand have been using their sway in the region to effectively ban World Bank and Asian Development Bank lending to Fiji since the 2006 coup, according to a blog post by Stephen Howes at the Development Policy Centre. The revelation received coverage in the Australian newspaper, Radio Australia and the Fiji Times. Professor Howes indicated that he supported other sanctions, but questioned the wisdom of opposing lending from the banks, arguing that it undermined the institutions’ legitimacy. Both DFAT and the World Bank have responded, but neither has denied that Canberra has been lobbying the banks not to lend to Fiji. The decades-old campaign for independence continues gain urgency following allegations of intimidation and uniform extra-judicial killings of indigenous people by combined Indonesian forces. Fresh allegations have emerged that accuse Indonesian military and the elite counter-terrorist police unit Densus 88 — who have received training from Australian Federal Police — of the mass killings in a remote village in West Papua. According to an ABC report, combined police and military crackdown has purportedly claimed the lives of 11 people while 20 are missing. Free Papua Organisation spokesman Jonah Wenda told reporters via text message that the mass atrocities are aimed at destroying the stronghold of pro-independence groups. Earlier reports by human rights groups allege that Indonesian Kopassus troops are responsible for disposing the remains of their victims in bags and sacks in a separate incident in Tingginambut in West Papua in May 2013. A State of Emergency has been declared in Nauru. This follows nearly a month of parliamentary deadlock and constitutional crisis. In an address to the nation, President Spent Dabwido said the reason for declaring the State of Emergency was to ensure economic security and bring national elections forward to June 8. In protest, minister of finance Roland Kun resigned from cabinet. Nauru media have since been banned from reporting on the political events in the run up to elections. Ousted Speaker Godfrey Thoma has said one of the main issues behind Nauru’s political instability was unequal distribution of business opportunities as a result of the re-opening of Australia’s detention centre. A High Level Panel on the Post-2015 Development Agenda released its report to the UN Secretary General setting out an ambitious ‘universal agenda’ to eradicate extreme poverty by 2030. Twelve new development goals have been proposed that include targets on peacebuilding and statebuilding, recognising their critical importance for development. Other targets cover climate change, sustainable ocean practices, renewable energy, as well as ending agricultural subsidies and ensuring multinational companies pay taxes fairly. The panel’s report drew on extensive consultations, including the Dili International Conference attended by representatives from across the Pacific. The report will drive debate over development priorities to be agreed by the international community before the expiry of the Millennium Development Goals (MDGs) in two years. President Anote Tong of Kiribati has stated that despite efforts to mitigate the effects of climate change, he is now preparing his people to “migrate with dignity” as their only lifeline. But migration is proving to be an unresolved issue for the potential host countries, as well as the I-Kiribati’s themselves, many of whom are reluctant to leave. Many would prefer voluntary migration instead. There is nonetheless a general acceptance though that people will have to move eventually. No developed country has made any offers to those displaced by climate change. Australia is being urged to become the first country to create a special refugee category that would enable Pacific migrants to access protection and support. The People’s Democratic Party (PDP) became the fourth party in Fiji to successfully register. In addition to pledging to support democracy, the rule of law and good governance, the PDP supports free media. This is a major issue as elections approach, with the University of the South Pacific reportedly blocking a speech to be given by Professor Waden Narsey at a World Press Freedom Day presentation event. In accordance with the decree, the PDP is allowed 30 days from the date of registration to submit the party’s financial information. Political party registrar, Mohammad Saneem, has reiterated that any party failing to declare their assets and liabilities will be deregistered. As international trade unions continue to put pressure on Fiji, PM Voreque Bainimarama has again displayed his inclination to ‘look north’. He held meetings with Chinese Premier Li Keqiang and President Xi Jinping in Beijing in a bid to secure support in establishing a Pacific Islands Development Forum (PIDF) Secretariat. Kuwait and the UAE have already pledged more than USD 434,000 to assist with the hosting of the inaugural PIDF meeting slated for August. Meetings with President Vladimir Putin of Russia also look set to take place at the end of June. Solomon Islands Prime Minister, Gordon Darcy Lilo considered the Extractive Industries Transparency Initiative (EITI) global conference held in Sydney to be successful, although other commentators were less impressed. As the only country in Oceania signed up to the initiative, Solomon Islands is also being encouraged to incorporate the EITI into i laws. In line with the EITI, Australia is also facing calls to enact legislation that would require disclosure from its companies operating overseas. The recently released report of the High-Level Panel of Eminent Persons on the Post-2015 Development Agenda also noted the need for a ‘transparency revolution, so citizens can see exactly where and how taxes, aid and revenues from extractive industries are spent’. 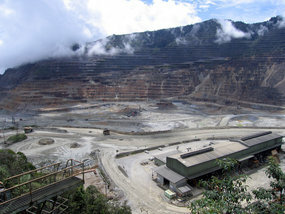 Meanwhile, the Indonesian government has refused to allow the Freeport mine in Papua province to resume production. Operations have been curtailed at the mine since Indonesia’s worst mining disaster took place on May 14, with 28 miners killed and 10 injured. In Bougainville, talks between landowners and Rio Tinto regarding the re-opening of the Panguna copper mine have been postponed until mid-June. At its 2012 Annual Report Meeting held in Port Moresby yesterday, the PNG Sustainable Development Program announced that it would be exiting from OTML, the company which runs the Ok Tedi mine, PNG’s largest. SDP is currently the majority shareholder in Ok Tedi, with a 63% shareholding. But the PNG Prime Minister has made clear his determination for SDP to exit Ok Tedi. Now the trust-fund, established at the time of BHP’s departure from Ok Tedi in 2001, has agreed. While the details are yet to be worked out, the SDP Chairman Sir Mekere Morauta, writing in the organisation’s 2012 Annual Report, has also conceded it will not receive fair market value for the transfer of its shares. In a commentary of the move, Devpolicy Director Stephen Howes calls it a “sad day for PNG”, noting that it raises questions about the security of property rights in PNG, and that, given the problems of corruption and capacity within the PNG Government, Ok Tedi revenue would be more effectively spent by SDP. Protests by some unions and Labor parliamentarians over alleged “rorts” of 457 visas have continued at the same time as several leading Labor Party figures challenged these groups to provide evidence of their claims. The relevance of the debate to Pacific islanders was highlighted last week on the 7.30 Report, which featured a story about Australian workers losing mining jobs while (six) Papua New Guinean counterparts kept theirs. The story was savaged in this critique by the ANU’s Colin Filer, who pointed to the skills of Papua New Guineans employed in the mining sector, and to the widespread employment of Australians in PNG’s mining sector. Meanwhile, prospects for expanding access among Pacific islanders to Australia’s agricultural industry appear distant. Analysis by the Development Policy Centre last year identified ease of access to backpacker labour as a key obstacle to the employment of Pacific islanders under the seasonal worker program. The official evaluation [pdf] of the seasonal worker program reached a similar conclusion, but has been labelled a missed opportunity given the delay in its release, the absence of any quantified analysis documenting the higher productivity of seasonal workers, and the government’s muted response to the report. The number of backpackers working as fruit pickers in Australia is reported to have sharply increased sharply this year due to the economic woes of Europe and the USA. The Government of Samoa has budgeted for a deficit of WST 80.9 million in 2013-14, amounting to 4.8 percent of GDP. The budget was released last week in an environment of low but positive economic growth, with real GDP growth of 1.3 percent recorded in 2012-13. Recovery spending in the wake of Cyclone Evan is the main reason for the deficit. The government is spending WST 60 million as part of the cyclone recovery program. In order to help contain the deficit, fees charged by state-owned enterprises are being increased. Development partners have increased budget support considerably. The deficit is expected to decline gradually over the forward estimates. The Pacific Plan Review, headed by Sir Mekere Morauta, released its interim findings in a seminar held in Suva last week. The review team highlighted the widespread dissatisfaction with the existing plan evident in consultations in the region, suggesting that the vision of leaders incorporated in the original plan had been “lost in translation”. The picture painted by the review team was both mixed and detailed. The team noted that appetite for pooling of sovereignty in the region remains uncertain, and that the existing plan includes too many priorities. It highlighted the need to ensure the Forum provides political space for discussion of regionalism, and for the Forum Secretariat to play a stronger role as gatekeeper of regional initiatives. The review’s interim findings can be found here, and list of submissions (including from Devpolicy) here. A Chinese research vessel left south China recently to survey undersea resources in the Pacific Ocean. The ship will be on Pacific waters for more than five months. ‘Haiyang-6,’ or ‘Ocean-6’—with an expedition team of 96 members– has the biggest number of personnel ever for such a mission. With some Pacific countries having already issued exploration licences to companies, the Pacific Conference of Churches has renewed calls for a stop to all sea-bed mining research. There are reports of a massive hidden HIV infection in Guam. A recent study in Fiji has identified 200 child labourers in Suva. PNG has welcomed the decision by InterOil to start talks with ExxonMobil as a potential partner to develop its Elk and Antelope gas resources. The Solomon Islands government has started building its PNG-Solomons border post. French Polynesia president Gaston Flosse wants a referendum on self-determination.